ASUS Rampage V Edition 10 Monoblock RGB Edition is available for pre-order! EK Water Blocks, Slovenia-based premium computer liquid cooling gear manufacturer, is excited to announce its latest liquid cooling solution for ASUS® ROG Rampage V Edition 10 motherboard with full AURA Lighting Control RGB support! Following the August release of the EK-FB ASUS R5-E10 Monoblock, we are now announcing the EK-FB ASUS R5-E10 Monoblock RGB Edition! This Monoblock is a complete all-in-one (CPU and motherboard) liquid cooling solution for Intel LGA-2011-v3 socket CPU and ASUS ROG Rampage V Edition 10 motherboard, with full ASUS AURA Lighting Control RGB support. 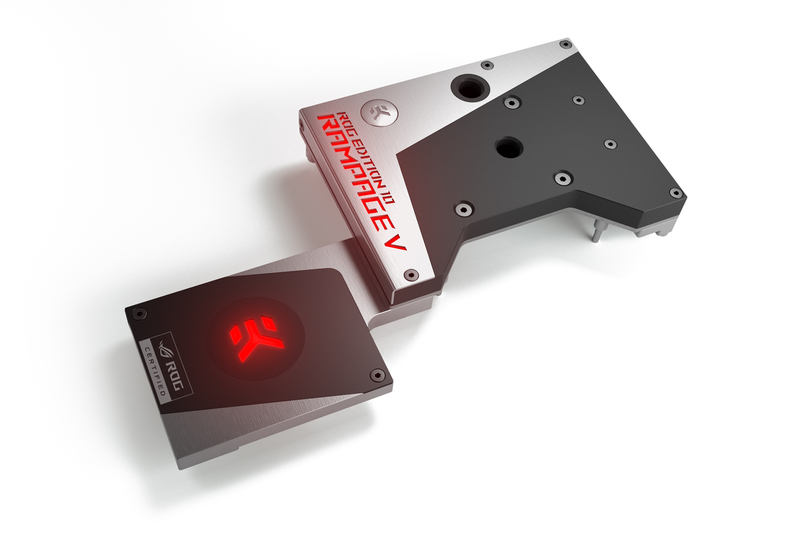 This water block uses the award-winning EK-Supremacy EVO cooling engine to ensure best possible CPU cooling. The monoblock directly cools Intel LGA-2011-V3 socket type CPU, Intel X99 Express southbridge (PCH) and power regulation (VRM / MOSFETs) module as water flows directly over all critical areas (southbridge is passively cooled). It is a very high flow water block that can be easily used with systems using weaker water pumps. The base of the monoblock is made of nickel plated electrolytic copper while the top is made of quality POM Acetal material with the addition of decorative tiles with ROG insignia made out of brushed aluminum. The block features RGB LEDs that illuminate the EK logo and Rampage V Edition 10 caption. 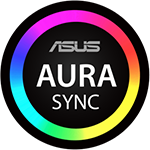 The RGB LEDs are fully compatible with ASUS AURA Lighting Control and the 4-pin RGB female connector can be connected directly to the motherboard RGB header. This monoblock is made in Slovenia, Europe and is available for pre-order through EK Webshop and Partner Reseller Network. The product will start shipping on Wednesday, 26th of October, 2016! In the table below you can see manufacturer suggested retail price (MSRP) with VAT included.